Contains a sample of "Enya - Exile"
This record has never been officially released and was only given to DJs & friends. Later in April 2009 it was repressed as a white label and exclusively available at the TTM-Shop. 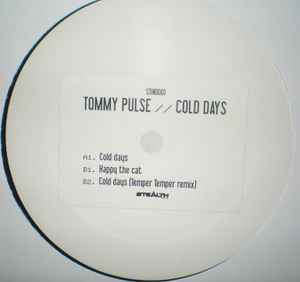 This record is never been released on STIND , it's only been given as a white label to dj's & friends of Tommy Pulse.Massive release..it's slamming and has a great vocal in it.It's building up and building up till the second break and then really explodes with a trancie melodie and the most slamming bassline i ever heard in a hardtrance track.Flipside is a remix by Temper Temper(aka Dj Promo) also a great track with a huge break in it.